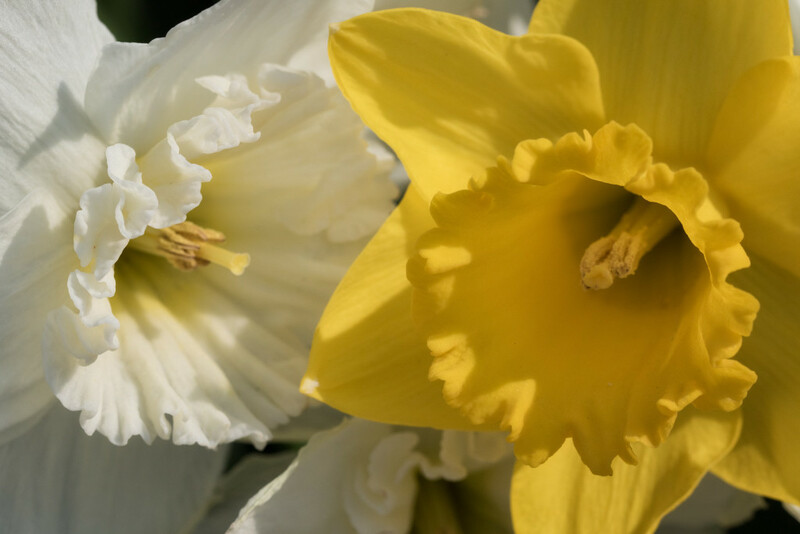 As I was coming in from my morning shoot of our garden, I saw these two blooms intermingled in a clump of white and yellow daffodils. They reminded me of two close friends , one whispering in the other’s ear. I cannot recall how many times that I have been getting ready to put my camera away for the shoot when that one last image pops up in front of me. It seems to be one of my most alert times. On multiple occasions, this last image is my select from the whole shoot. Lesson Learned: Always be ready for the image to come to you! This entry was posted in Flora, Macro, Our Garden, The Intimate Landscape and tagged Flora, flowers, Fountainville Garden, repitition, Spring on April 22, 2015 by kgrafphoto.